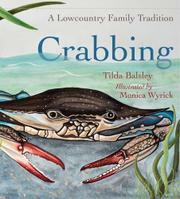 One granddad, two boys, and fish heads for the line: a perfect recipe for crabbing. This story, the pace of which resembles the ebb and flow of a tidal marsh, gives readers an insider’s view of a family crabbing outing. The boys encounter a turtle, a pod of dolphins, a great blue heron, and other flora and fauna that inhabit South Carolina’s lowcountry and coastal habitats. Pop teaches the boys that when they catch young female crabs with eggs or ones too small to eat, they must toss them back. When they net “Big Blues,” though, they keep them and later take them home to turn into crab cakes. Wyrick’s richly textured watercolor illustrations complement Balsley’s occasionally poetic prose while they also inform. When readers reach the backmatter, they will find much to go back and search for in the detailed illustrations. Balsley even includes a crab-cake recipe to try. The backmatter gives young readers just enough information about relevant plants and animals to leave them wanting more.